The Orange Cross Book & The Orange Cross Practise Book Package Deal. 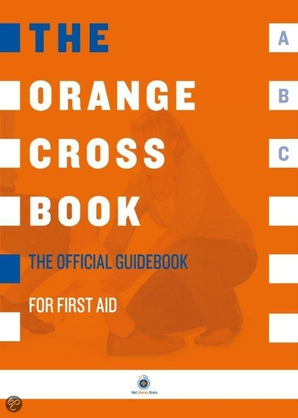 This convenient, money-saving package consisting of the Orange Cross text book and the exercise book is a must-have for your official First Aid Exam preparation. This package is over 20% reduced compared with the individual components. Under the supervision of the Council of Experts of the Dutch Orange Cross, the Official Organisation of First Aid in the Netherlands. Klik hier voor meer informatie en de bestelmogelijkheden van dit gedrukte boek.